The report to General Synod (GS 1685A) from the House of Bishops on the legislation for women bishops was clear. A majority of that house wished to avoid the creation of any new structures, and considered that a national code of practice was both necessary and sufficient to protect the consciences of those unable to accept the ministry of women as bishops. We knew before the 11 July debate that “a significant minority within the House” was opposed to the approach embodied in the draft resolution submitted. But we did not know the size and composition of the majority or the minority. Now we do. The results of the electronic voting in the House of Bishops are available, either here, or over here. The final outcome saw 68% of the bishops present, and 72% of the House of Clergy voting in favour of a motion that had been amended only slightly from the text the House of Bishops had originally put forward. The laity were less enthusiastic with a majority of only 61%. (Overall, exactly a two-thirds majority.) So the Synod accepted the view of the episcopal majority, and rejected all attempts to adopt any of the other options that the Manchester Report had proposed. Episcopal opposition turned out to be almost entirely limited to a core group of only twelve bishops. These included five who later signed the 15 August letter (see below) and who also have votes in Synod, i.e. the Bishops of Blackburn, Chichester, Europe, Burnley and Beverley. There were also seven others: the Bishops of Birmingham, Exeter, London, Rochester, Winchester, Dover and, significantly, the Archbishop of Canterbury. At the end of the debate, the Archbishop abstained, and the other eleven all voted against the substantive motion. The only other bishop who voted “No” was the Bishop of Durham, whose earlier motion to adjourn the debate had support from only 46% of the synod. He had consistently opposed every amendment throughout the debate. The group of twelve also supported several amendments that would have moved the outcome in a conservative direction. remove the limitation on the drafting group to work “within the existing structures of the Church of England”. The amendment was rejected in all three houses: by 69% of the bishops, 66% of clergy, and 59% of laity. Next, a small wording change, proposed by Prebendary David Houlding, to change “wish” to “wish of the majority” [for women to be admitted to the episcopate] was narrowly approved, by 62% of Bishops and 51% of Laity but by only by a single vote in the House of Clergy. Curiously, the Bishop of Rochester voted against this. Ten of the twelve then voted in favour of Fr Simon Killwick’s amendment that sought to allow new dioceses to be considered. London opposed this and Canterbury abstained. No other bishop voted for it. The amendment was defeated by 71%, 68.5%, and 61% margins in the three houses. Eleven then voted for the Bishop of Exeter’s amendment, which aimed to allow a structural solution based on existing rather than new dioceses. Again London voted against, but two others (Bradford and St Edmundsbury) added support. It also was defeated by margins of 64%, 64% and 59%. For completeness, I should also note that two other amendments were both voted down by huge margins. The Reverend Steven Trott’s amendment, to keep open all the options of the Manchester report, was voted down by huge margins in all houses: 89% of bishops, 82% of clergy, and 78% of laity. Among all the bishops, only Chichester, Rochester and Beverley voted “yes”. To match this, the Reverend Miranda Threlfall-Holmes’ amendment to adopt the “simplest statutory approach”, and exclude even a national code of practice, was also voted down by large margins, though smaller than in the previous case. The figures against were 82%, 59%, and 62%. Seven bishops were in favour of this, namely Southwark, Bristol, Liverpool, Bath & Wells, Hereford, Derby and Portsmouth. The Bishop of Ripon & Leeds abstained. The net effect of all this is that the view of the overwhelming majority of the House of Bishops was accepted by the whole synod. The recent letter from fourteen traditionalist Anglo-Catholic bishops, only five of whom have votes in General Synod, highlighted that the House of Laity vote was below the two-thirds level that will be needed for final approval of the women bishops legislation. It also pointed to close voting on the amendment offered by the Bishop of Ripon & Leeds as another indicator of less than overwhelming support for legislation without “new structures”. However, the final approval vote will not occur in the life of this Synod, but only after new elections have been held in 2010. This issue may well dominate those elections. The House of Bishops, to whom the letter writers are explicitly appealing, does not meet again until October. By that time, the Legislative Drafting Group should be halfway through its task of preparing a draft for the General Synod to consider in February. General Synod has clearly instructed the group to do so only on the basis of a statutory code of practice. The strength of support for that in the House of Bishops is now clearly on the record. Note: Sheffield and Truro were vacant sees at the time of the vote, and there were six bishops who were either not present or who never voted at all (Coventry, Chester, Sodor & Man, Ely, Salisbury and Leicester). Just for my own understanding, could you please explain the difference between bishops who “abstained” in your report, and the final six who were either absent or “never voted” at all? The reported abstentions were those recorded by the electronic voting system, that is the bishop in question pressed a button to record an abstention. To do this he (sic) had to be present. If you look at the voting record itself (in that same page), you will also see some blank entries. Not every bishop voted on every amendment. I’d love somebody who understands all this, to look into their crystal balls (so to speak *g*) on THIS one! I’m sorry, but looking at this as a Yank, I keep imagining what it would have been like, if some 80 years or so ago, we would have had to “make accommodations” for those who could not accept women as voters. Mark: would you also, then, support a separate liberal diocese where gay partnerships were acknowledged and accepted? If so, then I would support your case. It makes more sense to reflect the genuinely different views. But if not, then you are simply asking for special treatment. Car clamping? Translate for Americans, please? Thanks for car-clamping. In the U.S. it’s called ‘booting’ a car illegally parked. The device looks different. Towing, of course, clears a space, but costs a lot. 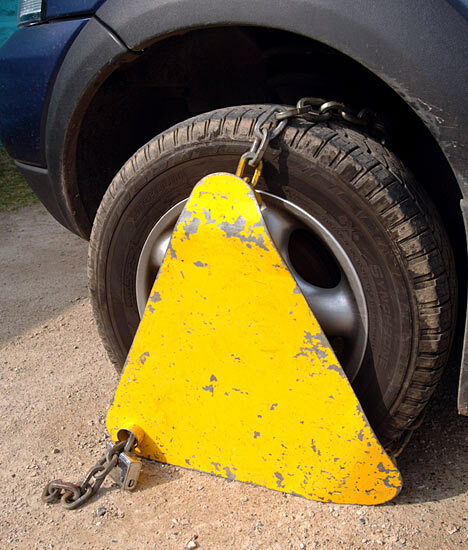 The booted car owner has to face a cop and, often, outstanding unpaid parking fines that must be paid to free the car. Two peoples divided by a common language indeed! I guess so far I’ve not had a characterin an English murder mystery mention car-clamping! I was not present at the synod in July. What sent me back to look at the voting detail was the letter of 14 bishops dated 15 August. This was what caused me to then write this piece. I had not realised at all that the Abp of Canterbury was among those consistently voting for the conservative amendments until I started writing. It might have been more interesting, and I daresay truer, to headline your analysis, ‘Archbishop outvoted by house’. As you have noted, this is one of the most significant things about these figures. However, after exercising much clearer leadership at the Lambeth Conference, I think it is possible that from now on Dr Williams will steer the measure more deliberately and persuasively in his favoured direction than he has done up till now. But a large number of those against women bishops are …….”gifted, talented, and leading women in the rest of daily life”. They don’t need to avoid themselves – just an ecclesial structure which meets their spiritual needs in order to continue to bear witness as faithful women in their daily lives. No Terence, Just have one Lambeth Conference with three Presidents. You actually raised an idea that was shot down in the Rochester report on women bishops, that there should be a college of bishops within each diocese, but, unlike your proposal, required that one of them be primus inter pares.